Home » Astro Studies » Does Financial Astrology Really Work? There has always been a fascination with the heavenly bodies above us. Everyone at some point has looked skyward and gazed at a full moon, or perhaps noted the awe of an Eclipse blocking the sun for a few minutes. But is there any validity in the relevance to planets and the financial pace of our wild volatile markets? Logically it would seem to be far-fetched that there could be any correlation. Even the mention of Financial Astrology in some circles immediately draws scepticism and derision. But as market traders and analysts, we must look at every piece of information and make our own conclusions based on facts, figures, testing and historical successes. Conclusions based on emotion and prejudice are baseless and entirely useless. As recently as 100 years ago, automobiles were thought of as lunatic fantasy when the horse and dray played a vital and seemingly never-ending role in our transport. Now they no longer exist in modern societies, cities and suburbs. I was reminded in a recent article that the best traders, whilst they may have very different approaches and trading rules, all have very similar traits. A great trader is someone who will never accept anything on face value. They question everything they see and hear, until they are completely satisfied with their own research, as to the validity or otherwise of any tool or technique. Great traders are also in a constant state of awareness and display an overwhelming degree of humility, accepting they are always followers of the market and never leaders. I’ve been trading now for nearly 30 years and I’ve always thought it natural to be constantly researching and reviewing markets, tools, techniques, strategies and innovations. It’s part of the life of a trader to be mentally active and prepared to admit fault, work to repair the fault or error, recognise the challenge and work incessantly to become a great market analyst and trader. One of my challenges was to understand the work of W.D.Gann who has been the most controversial analyst I have researched. Gann was a leading Mason and the head of a chapter or Lodge. He was honour-bound not to reveal the secrets of the ancient society. Unfortunately for us, Gann could not readily impart the knowledge he acquired, but he was able to disguise some of the information by coding it into cryptic clues in his books and courses. 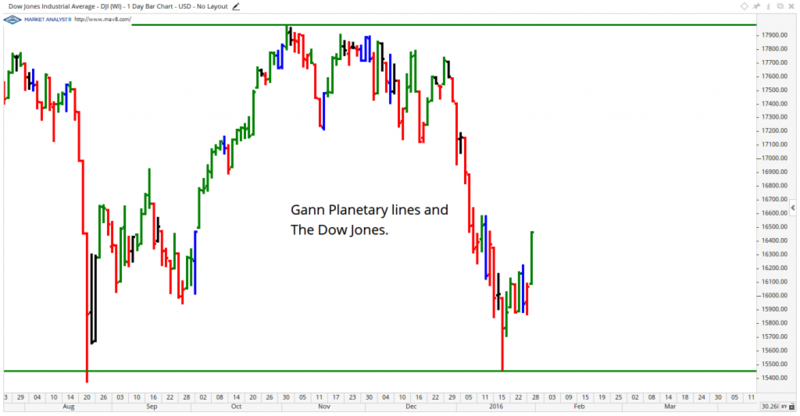 It is a herculean task to decode these facts, and it has taken me the best part of 15 years to resolve some of the issues I had with the written words from Gann. For example, Gann often mentioned a ‘market square’ but in itself this could be interpreted several ways. Square, as I was to discover later on, could mean 90 or the right angle in a square. Or it could mean the square of a number, e.g., 4 x4 or 4 squared. Or it could mean the market time and price had balanced as a market had risen 130 points or cents from a low in 130 days. If you want to decode Gann, which is a noble but daunting undertaking, you must recognise the Gann code or reference in the context of that particular paragraph or example. An astronomer can predict to the minute when an eclipse is going to occur, but you would not consider him a prophet, would you? Of course not. He simply makes use of mathematics based on known laws of the movements of the planets in their orbits. 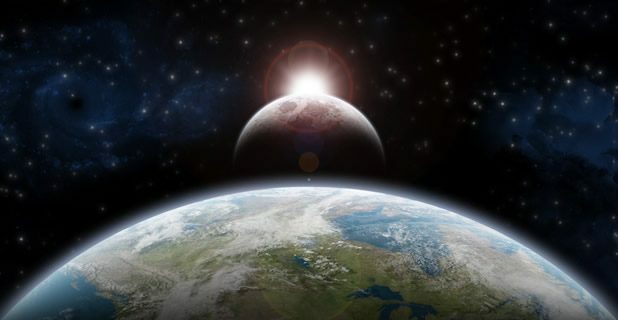 coming of eclipses thousands of years before the Egyptians and Chaldeans. It is marvellous the knowledge that these ancients had. In making my predictions I use geometry and mathematics just as an astronomer does, based on immutable laws which I have discovered. There is nothing supernatural or weird about it. That is why astrology fails, for nothing can be accurate that is not based on mathematics — and so few astrologers are mathematicians. So here we have another important clue. Astrology per se does not work in the markets, BUT the numbers and relationship between numbers is the reason for market reversals. Cutting a long story short for the sake of brevity in this article, Gann created a formula for tracking the planetary movements around the Sun. It is this formula, and a very easy one to calculate, that creates basic support and resistance lines akin to a moving average that traders can use to determine potential reversal points. On chart 1 we look at the Dow Jones Averages and the Gann planetary lines for Neptune, calculated as per Gann’s formula. These have been programmed by Market Analyst 8 so that we can leave them running for years to come. We then look at the market when it gets close to these angles and see if there is any typical market signal or pattern indicating at this point the lines are likely to create a reversal. I like to combine the planetary lines with other standard industry tools and strategies. Looking at the next chart at the top we see I have marked point A where the attached MACD tool shows it is very overbought and now likely to have some reversal or profit taking. Notice at the high there is another well known bar signal called an inside reversal bar. Simultaneously we have a Planetary line resistance point, an Inside reversal bar indicating indecision, and a MACD showing overbought prices with the histogram declining. It’s a good chance the Dow will reverse with all of these signals in tandem, and once confirmed by the low of November 3, we have an acceptable risk for a short trade that eventually produces a fabulous short position trade. At Point B at the bottom of the chart we see the market again touches a Gann Planetary line, with the MACD showing an oversold market with rising histogram bars. Another fabulous planetary clue to exit shorts and get long. At the time of writing, the market has risen to produce another irrefutable proof of the power of Gann’s numerology in planets. As a final touch, we can see the famous Gann soybean chart where he has clearly marked the planet Jupiter and its Planetary line. Obviously he used the formula for the planetary movements in the same manner we would use a moving average or a trend line. 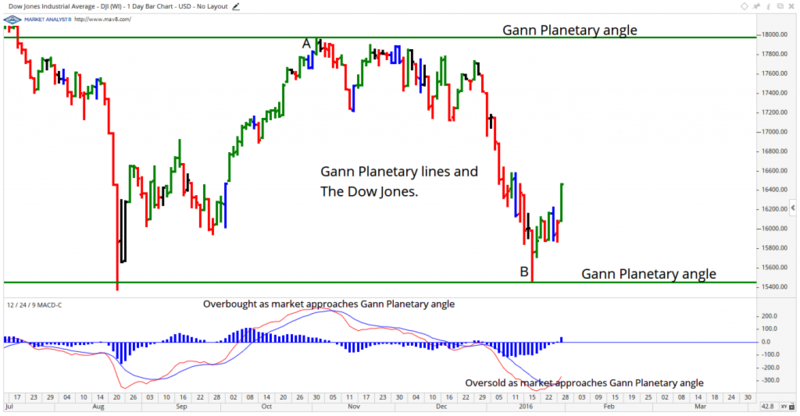 There are many more techniques involved in Gann’s Planetary techniques. He measured the timing of the planets by an Ephemeris tool and eventually noticed patterns, repeats of market reversals and planetary positions between planets and the Sun and between planets and each other. Some of these are quite complicated until they are broken down into simple instructions. I have now created a set of simple basic instructions to help traders achieve their greatest potential with these fascinating tools. In my experience, the key to using Financial Astrology is to be wary of not trying to solve the mystery of the Universe, which invariably most Astrologers try to do. The trick is to quantify the method that makes the most successful trades, and to remember we are traders trying to use Astrology, not Astrologers trying to become traders. 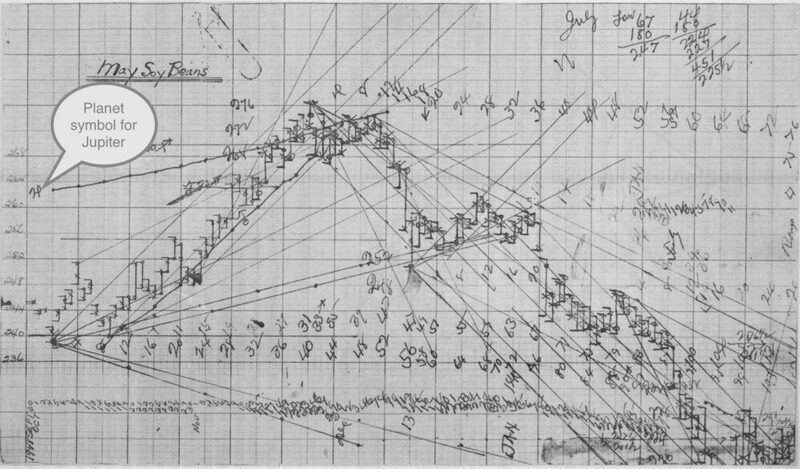 When we consider that all of Gann’s groundbreaking research was done laboriously by hand, it is an even greater achievement and testament to the work ethics of a market trader. I’ve been constantly surprised and in awe of Gann’s discoveries.